We’re halfway through the holiday break and I don’t know about you, but I’m finally coming up for air and getting a little business done before the next round of festivities. I’ve got a couple of serger-only projects planned for the next week or so. (First up will be a yoga legging tutorial with an updated free pattern.) As I share the additional projects there will be additional entry opportunities added, so stay tuned! My serger is very old. I would appreciate a new one. Thank you for the chance to get a new one. Happy New Year! Dear Jamie, thank you for the chance to win. I have just gotten my sewing room back after it had been used as a dump room and a storage room for many years. I have had 2 extensive back surgeries in less than one year. My house had completely gotten out of control. My husband generously allowed me to call in a professional organizer. We started in the sewing room. She brought order to chaos that the room had never seen. 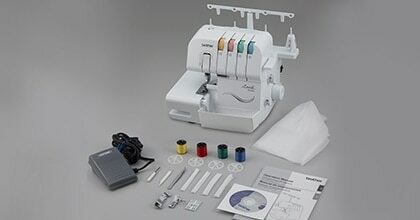 I have wanted a serger but never would have had the room for one. I would now. We have gone on to other parts of the house and it has been wonderful. I have been collecting your patterns for some time as your daughter is the same age as my oldest granddaughter. I was able to do some Christmas sewing before we had to take my machine in to get an overhaul on it right before Christmas. We are picking it up today. I can’t wait to make up some of your cute patterns for my little one. Thank you for all you do. And again thank you for the chance to win. Am looking forward to retirement, with big plans to spend multiple hours in my sewing room. My sister lives in Texas and I live in Maine. If one goes to the other’s house for vacation, the time is spent at fabric stores and in the sewing room. My sister always raves about her serger. 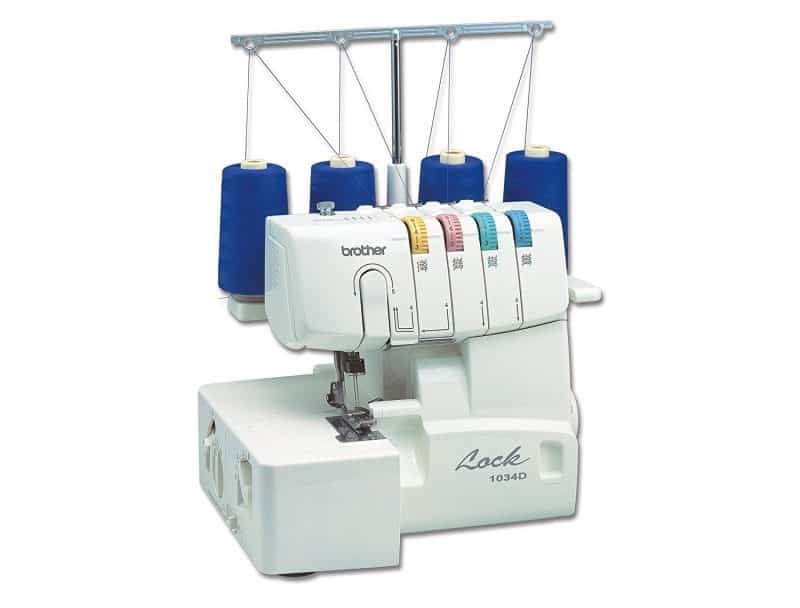 I wanted a serger for so long. I would love to win!! Thank you for this giveaway opportunity. I adore your patterns and a serger will help me stitch faster. Praying to be graced with a win. I am most delighted to be a part of this. I am from the beautiful island of St. Vincent and i have really learned to sew peasant dress using your patterns. I would really like to have a serger to do the finishing more nicely than i have done before. May the Lord’s will be done even in this venture and a blessed New Year 2018. That would be a great post-christmas present! Thank you so much! What a fabulous giveaway! I’ve been wanting one for quite some time. I borrowed a friend’s before and loved all I was able to do with it. Thanks for the chance! Oh,… Who was the lucky winner…? Click the little rafflecopter widget to see the winners name.